MARGOT Robbie is one of the hottest properties in Hollywood right now, but that level of fame comes at a cost. In an interview with The Hollywood Reporter, Robbie revealed how her life changed after starring in Suicide Squad and subsequently had to deal with stalkers and death threats. "You're about to be in a comic book film; now here's the worst-case scenario of how big and scary it can get," she said. "There's just all this stuff you learn along the way, like, when you get those death threats, it's [smart] to have a security team do a background check on whoever sent them to see if there is any past history of violence because you'll need to know whether you need security to go to certain events," Robbie told THR. "And every time you do a background check, it's going to cost $2000, so take that into consideration when you're getting yourself into this. "And it's like, 'OK, that's a different kind of career.' Because then you need to always do a job that can financially support that lifestyle; you can't just do indie films for the rest of your life because that film back there changed everything and now you have to be able to afford security." Robbie told THR that she wishes "someone had explained a lot of those things to me early on". "I wouldn't have resented the position I found myself in because I would've known what I was getting myself into." Suicide Squad tanked with the critics (it's rated just 26 per cent on Rotten Tomatoes) but was a hit at the box office where it made almost $A950 million worldwide. As bad as the critics thought the movie was, there was almost universal praise for Robbie who played Harley Quinn. Rolling Stone said the Aussie's "performance is the one thing this DC Universe disaster has going for it". 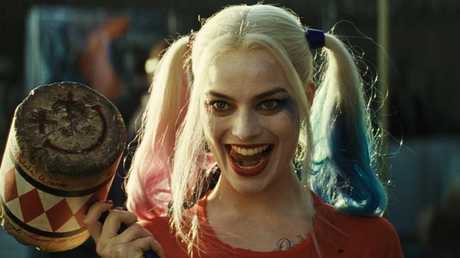 And Deadline wrote, "the real star attraction is Harley Quinn (Margot Robbie), the unhinged girlfriend of the Joker (Jared Leto). She is the one who is consistently watchable throughout, a gonzo spirit that Australian Robbie runs with." 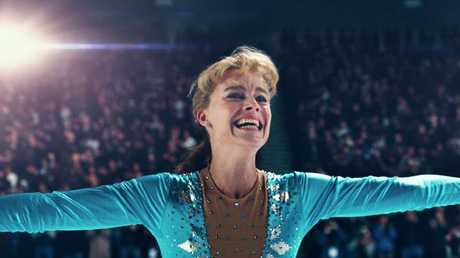 Robbie's latest movie, I, Tonya, is due in cinemas on January 25 and the former Neighbours star is tipped to pick up an Oscar nomination for Best Actress for her role as Tonya Harding. Margot Robbie as Tonya Harding in I, Tonya.